Want to infuse style and personality into your kitchen? Want to make meal prep and cleanup a breeze? Want to throw in ease of maintenance and longevity while we’re at it? Sure! The right kitchen countertops will bring your vision of the ideal kitchen — your kitchen — to life. Well, hello, beautiful. See how those counters shine! Clean, streamlined… gorgeous. These surfaces make a significant impact on your home’s functionality and style. You may know what you want (or not — and our designers can help you figure it out) but not know how to achieve it. 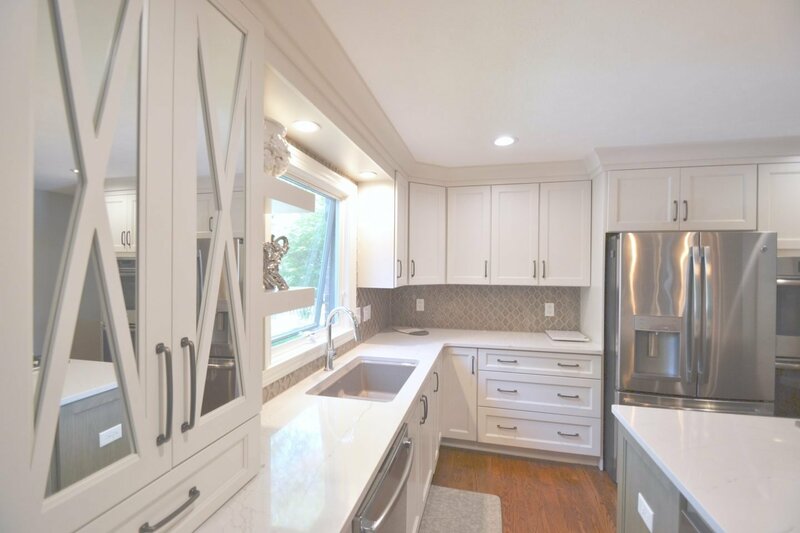 The first step is to learn about the countertop options available on the market today. Let’s take a look at some of the most popular, enduring choices. The short answer is they’re both great. 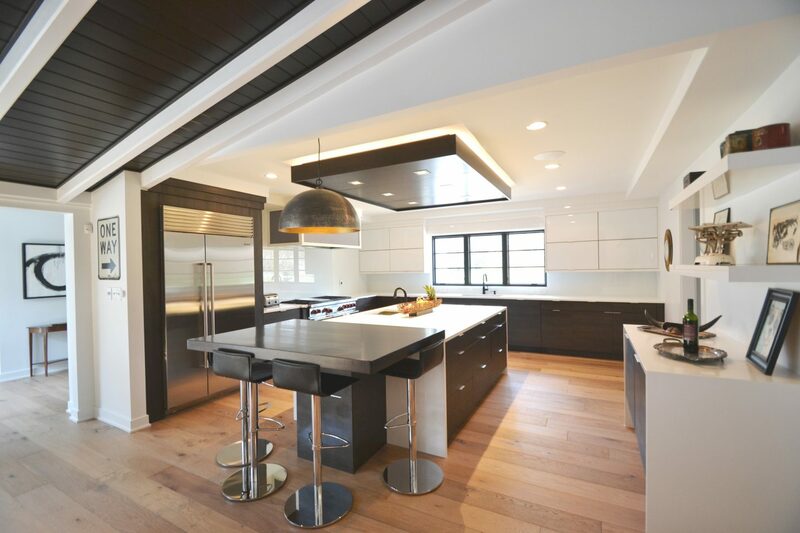 There’s a reason they are always at the top of the list for luxury kitchens. Quartz countertops are remarkably durable; you can put hot pans on these surfaces, and they don’t care. Stains? Gone. Serrated knives and abrasive pads? No match for quartz. It can mimic stone and is available in a variety of patterns to give you the look you want. Quartz can chip around the corners and edges, though, and it tends to be more expensive than granite. Speaking of granite: slabs are all unique, and you can find granite with intriguing colors and veining. Like quartz, granite countertops can stand up to cuts, scratches, and heat. It’s not quite as durable or easy to maintain as quartz but sealing adds protection. In many respects, it comes down to your personal preferences. Which will meet your needs best? Again, we can help you make the right call for your home. Another timeless beauty, marble is exceedingly durable and does not readily show wear. It is more porous than granite, so staining can be an issue. You can keep your high-end look with regular sealing — and keeping those hot pans off the counters! Stylish. Contemporary. Cool. Industrial. Stainless steel doesn’t have to end at the sink. Although costlier in terms of countertops, it is remarkably easy to clean (just mild soap and a cloth will do it). It also resists the buildup of bacteria. Really? Yes, really! Butcher block style wood makes for a cozy cottage vibe. Now, we know that wood is porous and can harbor bacteria. When you’re cutting meat on your counter, this is obviously a concern. But properly sealed, wood is sanitary. Overwhelmed by choices? Contact us or stop by our showroom; we’re happy to help you explore the possibilities. Love where you live, and what better place to start than the kitchen! Looking for more helpful tips just like this? Sign up to receive our newsletter.